Need some new inspiration in your feed reader? Here are six little-known blogs I've enjoyed reading this year. I believe that the museum blogosphere is still underdeveloped and there's lots of room for people to share their inspiration, experience, and ideas. I hope next year at this time, all six on this list will still be going strong and accompanied by a chorus of new voices. Asking Audiences. For a year now, Peter Linett and his friends at Slover-Linett Strategies have been blogging thoughtfully about connecting with arts audiences in new ways. While this blog started by focusing on audience research, topics include subjectivity, participation, innovation, and culture shifts. Peter is a fabulous writer, and this blog has become one of my favorites. It's a pleasure to read and it always gives me something to think about. Jumper. This is a new blog written by Diane Ragsdale as part of the Arts Journal suite. Diane is still getting her "blog legs" and the posts are a bit haphazard, but she's one of the most brilliant minds in arts innovation, and I can't wait to see where this blog goes. If you need a good reason to read her blog, sit down for an afternoon with this incredible talk she gave in 2008 at an arts marketing summit and prepare to be blown away. Useum. Want something a little geekier? When anyone asks me who's doing great work blending online and onsite experiences in museums, I send them to Beck Tench at the Museum of Life and Science. When anyone asks me who's being thoughtful and analytical about social media in museums, I send them to Beck Tench. When any wants to learn how to draw great stick figures... you get the idea. The Useum blog is more of an idea-dump than a public exposition, so it can be a bit confusing to read. But it's worth it for the opportunity to get inside the brain of a phenomenally creative person. The Museum of the Future. Across the Atlantic in the Netherlands, Jasper Visser has been chronicling some of the truly exciting experiments he and his colleagues have been doing as they develop the national history museum for their country. The posts are infrequent, but where else are you going to learn about history vending machines? Thinking about Exhibits. A new blog from an experienced developer, Ed Rodley at the Boston Museum of Science. There have only been a few posts thus far, but his humorous writing style, knowledge of the craft, and far-reaching influences will appeal to anyone interested in the exhibit development process. Poesy-Praxis. 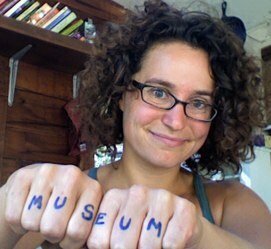 One last new blog, this time from Jaime Kopke, the smart cookie behind the Denver Community Museum. Jaime's been pointing to intriguing design projects in museums and on the Web with short, informative posts. I hope she keeps it up--I know I'll keep coming back for a dose of the unusual. What blogs would you recommend? I'm especially interested in those that might be under-the-radar or a bit out of the mainstream. Can You Make A/B Testing Part of Your Practice? 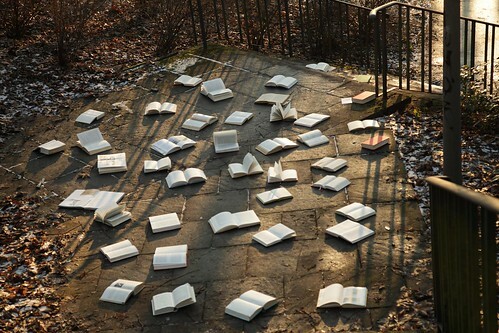 Next Book Club: Your Recommendations?